Centre ceiling lights aren’t everybody’s cup of tea. 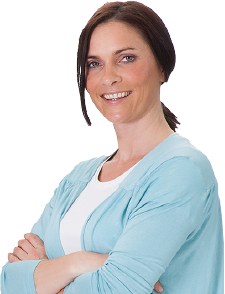 But removing a light fitting can leave an ugly hole in your smooth ceiling.The answer? 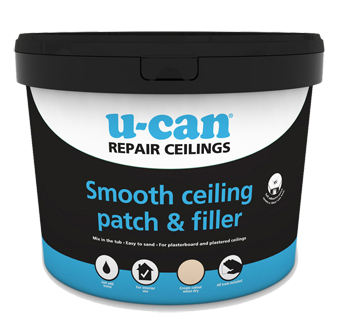 U-Can Smooth Ceiling Patch and Filler. 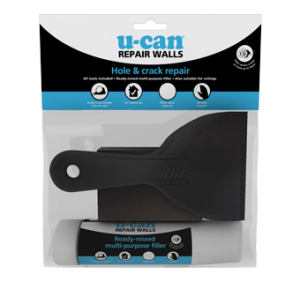 The the simple, mess free way to repair and restore ceiling plaster. One pack is sufficient to fill an area up to 15cm² (6in²). For an easy, hassle free repair, simply mix U-Can Smooth Ceiling Patch and Filler with water according to instructions in the tub and work into the area to be filled and repaired. Setting time is approximately 70 minutes, but for best results, allow at least 2 hours or preferably wait overnight before sanding and painting. 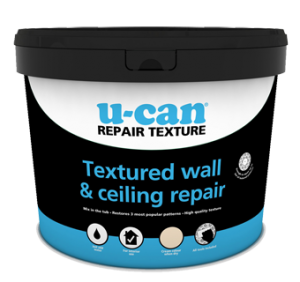 (If the existing paint has darkened or discoloured, you may need to give the the whole ceiling another coat).